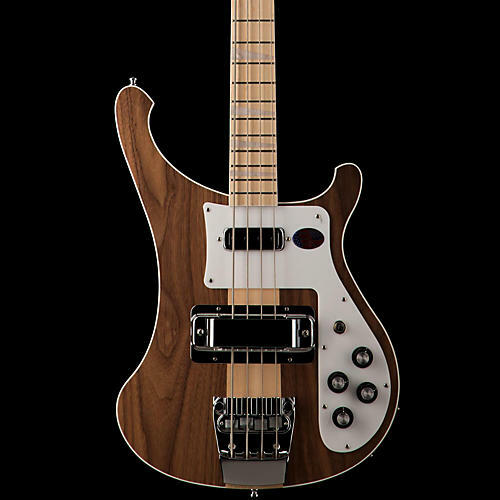 The Classic Rickenbacker bass has been strengthened with walnut for a solid and natural look that keeps with the traditional character of the instrument made famous for its ringing sustain, treble punch and solid underlying bass. A subtle strip of binding graces the elegantly curved body and the maple fretboard. Deluxe triangular inlays and stereo capability are standard features. Includes case.